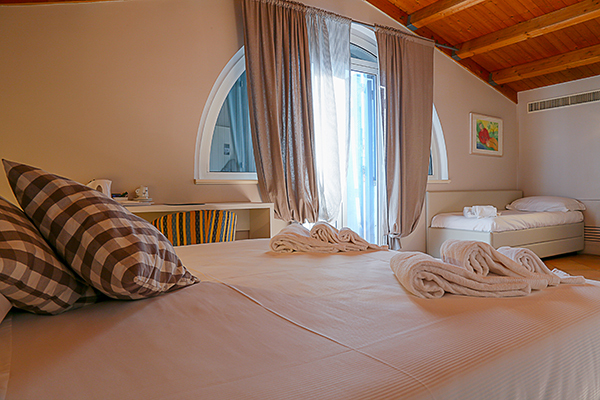 Excellent solution if you need to sleep in Fano, Augustus Hotel has 22 rooms, all equipped with every comfort and a pleasant view of the dock "Darsena Borghese". The rooms are equipped with air conditioning, hair-dryer, minibar, Sky and Pay TV, free wi-fi and safe. At Hotel Augustus you can also workout in the gym room, equipped with many machines, and have a relaxing sauna or enjoy a book in the quiet and private reading room with internet point. A rent-a-bike service is also available to take a nice ride in town or on the sea shore.